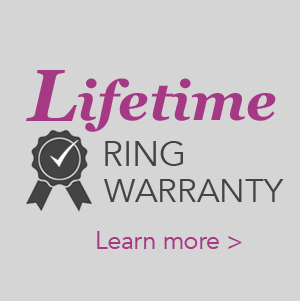 We offer a lifetime warranty on all rings. We do not offer a warranty on center stones and instead recommend customers to consider purchasing an insurance policy to protect their investment. We work with insurance companies by providing appraisals and all necessary paperwork so that customers can walk out of the store with their investment protected. Please refer to our Insurance page for more details.